According to various scientific information sources, a superfood is an unscientific term used in various contexts used to describe food with high nutrient, vitamin or phytochemical content that may confer health benefits, with few properties considered to be negative. In legal terms though the term ‘superfood’ has no standing although its use has been regulated in certain jurisdictions. For example, since 1 July 2007, the marketing of products as “superfoods” is prohibited in the European Union unless accompanied by a specific medical claim supported by credible scientific research. As such whilst there is no definitive list of superfoods, the following list combines the up-and-coming with old favourites including Aloe Vera nearly 20 years ago, so readers may be better informed and eat their way to good health! Goji berries: weight-for-weight these berries contain more viamin C than oranges, which is though to help the immune system. They aslo contain more beta-carotene than carrots, which putitively protects against certain cancers and fights heart disease, and protects skin from sun damage. 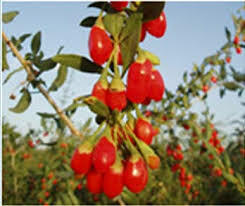 Goji berries are a good source of B vitamins and antoxidants, and certain kinds of amino acids. Some other performance-enhancing claims have been made in favour of Goji berries but seemingly anecdotally! In 2007, the FSA (UK Food Standards Agency) stated that there was a significant history of the fruit being consumed in Europe before 1997, and has removed it from the Novel Foods list which is why it is now legal to sell it in the UK as a food as reported by the British Food Standards Agency guidelines. Acai Berries: Grown from an Amazon palm tree in the rainforests of Brazil, the Acai pulp contains a high concentration of antoxidants, ten times higher than grapes and the monosaturated fats, dietary fibres and photosteroids that have been claimed to promote cardiovascular and digestive health. These tropical forest berries also contain an essential amino acid complex and trace minerals involved in muscle contractility and muscle health and regeneration. In a study of three traditional Caboclo populations, Acai berries was described as the most important plant species because the fruit makes up a major component of their diet, up to 42% of the total food intake by weight. 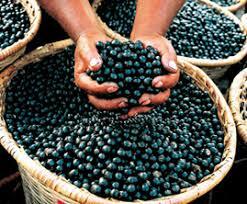 In 2005, an article published by Greenpeace International stated that “the tasty dark violet wine of Acai is the most important non-wood forest product in terms of money from the river delta of the Amazon. A 2008 Los Angeles Times article noted that while Acai has been acclaimed by some sources as a renewable resource that can provide a sustainable livelihood for subsistence harvesters without damaging the Amazon Rainforest, conservationists worry that Acai could succumb to destructive agribusiness models of clear-cut lands, sprawling plantations, and liberal application of pesticides and fertilizer. In 2009, Bloomberg reported that the expanding popularity of Acai in the United States was “depriving Brazilian jungle dwellers of a protein-rich nutrient they’ve relied on for generations.” Although most Acai is grown conventionally, the US company Sambazon established USDA Organic certification for their Acai palm plantations in 2003 and has also implemented Fair Trade certification. Blueberries: Ranked by researchers in the US Department of Agriculture (USDA) as the number one antioxidant fruit, some studies suggest that blueberies not only strengthen the immune system, but also gueard against neurological disorders such as dementias – particularly Alzheimer’s, protect eye sight and against urinary tract infections. Quiona is actually a plant seed grown in Latin America mainly Bolivia, with the same nutritional content as the healthiest of grains knwon to Europeans! It is rich in proteins, fibre, iron, B vitamins and minerals. It’s an extraordinary seed resembling squashed chick peas. Both offer popular sources of ‘juice shots’ at juice bars and contain proteins, chlorophyll, lipids, vitamins and minerals that are readily assimilated by the body. Barley grass contains potassium, magnesium, copper, manganese, phosphorus, zinc, beta-carotene, and vitamins B1, 2 and 6 (pyridoxine) and provides 10 times more calcium than cow’s milk, five times more iron than spinach and 7 times more vitamin C than oranges weight for weight. Native to the area of modern-day Iran (Persia) and Iraq, the pomegranate has been cultivated in the Caucasus Mountains and Persia since ancient times. From there it spread to Asian areas to the Himalayas in Northen India. 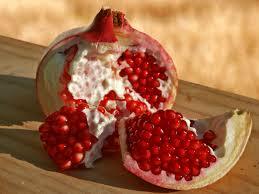 Pomegranate juice is rich in tanins, vitamin C and antoxidants. Today, it is widely cultivated throughout the Mediterranean regions of southrn Europe, the Middle East, North and tropical Africaand the Indian subcontinent. It was introduced into Latin America and Califronia by the Spanish settlers in the 1700s and is still cultivated in California and Arizona. The pomegranate has been mentioned in many ancient texts, notably the Bookm of Exodus, the Quran, and the Homeric Hymns, with some doubting the Adam and Eve Apple story. In recent years, it has become more common in the commercial markets of North America and the Western Hemisphere as the juice is available bottled in major supermarkets. Much has been published about the culinary uses of pomegranate cooking, baking, juices, smoothies and alcoholic beverages, such as martinis and wine. The flavanoids in these foods stimulate the production of the liver’s most powerful antioxidant, glutathione that helps eliminate toxins and carcinogens from the body. The total antioxidant capacity of artichoke flower heads is one of the highest reported for vegetables with cynarine being its most prominent chemical constituent in Cynara. The majority of the cynarine found in artichoke is located in the pulp of the leaves, though dried leaves and stems of artichoke also contain it. It inhibits taste receptors, making water (and other foods and drinks) seem sweet. This vegetable is of nutritional value because of its exhibiting an aid to digestion, strengthening of the liver function and gall bladder function, and raising of the HDL/LDL ratio, thereby offering the potential to reduce cholesterol levels, which diminishes the risk for arteriosclerosis and coronary heart disease (furring up of the arteries). Aqueous extracts from artichoke leaves have also been shown to reduce cholesterol by inhibiting HMG-Coenzyme A Reductase and having a lipid lowering influence, lowering blood cholesterol. 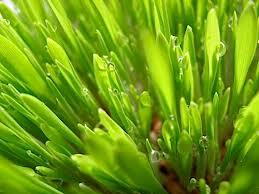 Its main bioactive agents are apigenin and luteolin with some beneficial effects on beneficial gut flora. Artichoke leaf extract has proved helpful for patients with dyspepsia (indigestion) and may ameliorate symptoms of irritable bowel syndrome (IBS).